Love God. Love Others. Make disciples of all nations baptizing them in the name of the Father, the Son, and the Holy Spirit... For to me, to live is Christ, to die is gain. Who/what do you place your identity in? 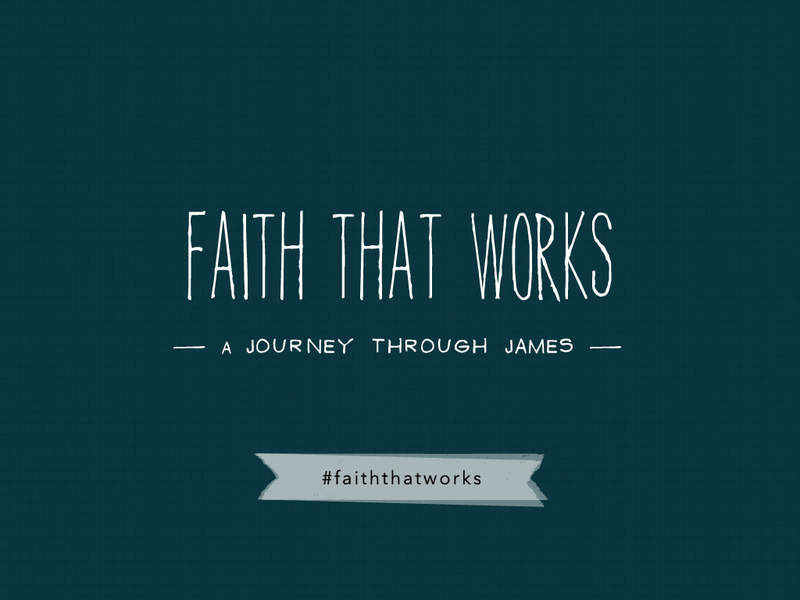 Today’s blog post happens to fall a few days after the start of our church’s start of a new series through the letter of James titled Faith that Works: a journey through James. As such, I wanted to share briefly on a question I posed to our community this past Sunday morning: “Who am I?” This question about who we are is a question that is often tied to what inspires us; it is tied to our identity. Identity plays a huge role in our lives because this is what we believe defines us. What would you say if you were asked this question of “Who am I?” Let me venture to guess that your response may begin something like this: “This is who I am (fill in the blank).” Who/What you place in that blank spot reveals what you place your value or worth in; it shows what matters to you. For some, they will mention their family, others their faith/religion, and then others politics. Others by their national heritage/ethnicity, and some will even state something about their occupation or the school they went to. We even identify ourselves with places of worship and even our favorite hobbies such as sports teams. Everyone puts their identity in something. The moment when we talk about something and we use the words “we” to identify ourselves as part of something, we have already made a connection to that thing. For example when the San Francisco 49ers play, I tend to say “We won!” or “We lost!” Though I didn’t really play for the team and probably would never make the team, I have placed my very identity with this team. This is what happens when people fall in love with and root for sports teams, we identify with them. When the SF 49ers lost last week in the Super Bowl, I was really forlorn! Like me with the 49ers, we have placed our identity in something, we become emotionally connected/invested because we have placed a lot of “heart” weight and “me” into those things. Often times, we place so much value in these things that if one was to insult us about something that we do not have emotional investment in, we could care less and can ignore the insult. When the person insults what we place our value or worth in such as our family, career, school, faith or even sports teams… we become greatly offended. We feel so offended because you have attacked what I have placed my worth and value in. What you have attacked is my heart aka what I believe in, and me… who I am. The reality is we do this a lot, and we may not even know it. For example, if a guy was to let a girl know of his interest in her and she lovingly/ prayerfully rejects him, the guy may respond by becoming inconsolable and totally depressed. Despite the girl’s loving response, he may totally be wrecked by the matter. Why is this? It is because the guy had placed much worth/value… his identity… in being in a relationship. He may have put so much of “heart” and “me” into it that when she responded negatively, it hurt him much more greatly! Though she may not have intended anything hurtful and didn’t see it that way at all, this is what happens when our identity comes into play in our interactions. With such a heavy emotional tie into our identity, it is no surprise that: Whoever/whatever we identify with often defines who we become. If you tell me your inspirations (idols), I can usually kind of tell how you will be like. We end up modeling ourselves like those that we identify with or what we are inspired by. “James, a servant of God and of The Lord Jesus Christ” (James 1:1). James, the brother of Jesus, identifies himself by answering the “Who am I?” question with a very simple, but powerful answer. He first identifies himself as a servant/slave/bond-servant (Grk. doulos). A doulos was a person that had willingly given themselves up to another person’s will; it was a slave/servant that had given up their freedom to serve a master they deeply loved. James in his opening words showed what he had placed his identity in! James saw himself as a willing servant/slave to the Almighty Powerful God and of His Lord Jesus Christ, whom is His Savior! God’s love and plan brought James to where he was! How did this identity as a servant of God and of The Lord Jesus Christ shape his life? Let’s take a moment to look. Prior to Jesus’ crucifixion during his early life (before 30/32 AD), we know that James was one of Jesus’ younger siblings (Mk. 3:31-34). James did NOT believe in what Jesus was teaching during this time (Jn. 7:5). Yet soon after seeing his brother die, Jesus resurrected and appeared to James personally (30/32 AD) (1 Cor. 15:7)! This radically alters James life, and he becomes an early church leader in Jerusalem despite great persecution (Acts 12:17b). James also counseled and encouraged Paul multiple times (Acts 21:18; Gal. 1:19; 2:9, 12). He did this over the next 20+ years as a Church leader, and was part of the first Jerusalem council dealing with Jew/Gentile question in 48/49 AD (Acts 15:13-21). James was later recorded being martyred in 62 AD by stoning, and despite the abuse up to his death, he continued to proclaim the Gospel to those accusing him and praying for his persecutors to The Lord! Here is an account of how his identity as a servant of God and of The Lord Jesus Christ shaped his life. “James, the brother of The Lord,…has been called the Just by all from the time of our Savior till the present day; for there were many who bore the name of James. He was holy from his mother’s womb; and he drank no wine or strong drink; nor did he eat flesh. No razor came on his head. He did not anoint himself with oil, and he did not use the bath…. And he was in the habit of entering alone into the temple, and was often found on his knees begging forgiveness for the people, so that his knees became hard [calloused] like those of a camel” (Hegesippus according to Eusebius, Church History 2:.23.4-6). In closing, Who/what do you place your identity in? James identified himself as: “a servant of God and of the Lord Jesus Christ” and his life reflected this belief after he came to Christ; he lived, and died becoming what it says in James 1:1. Tell me who inspires you, who you identify with, and I’ll tell you who you’ll be like. Oh, may you be like James and may you place your identity in Christ first above all things! What do you think about Dr. King’s statement on real forgiveness? Can one forgive without full reconciliation? This was a question from my friend’s blog post that was posed after writing about a quote by Dr. King on forgiveness. I was recently reading Miroslav Volf’s book, Exclusion and Embrace and within his writing, Volf offered a thought on this concept of forgiveness & forgetfulness. As he explored the concept of reconciliation between the oppressor and the oppressed, the culprit and the victim, one of the things that really challenged me was Volf’s point to say that forgiveness requires forgetfulness In consideration of what it means to forgive, I think Jesus’ words to love our enemies and to pray for those who persecute us is perhaps one of the most impossible demands for anyone. Consider even the one that has wronged you in a small transgression, it is even difficult to fully forgive one that has cut us off on the freeway or even embarrassed us before others. Yet Jesus’ in His words in Matthew 5:43-48 calls us to a love that transcends anything this world has to offer. He not only asks us to love (not in such a passive bearing sort of way), but in a way that even asks us to petition to the infinite God in prayer (which is perhaps the highest action we may do for another besides loving them). But why do we do this? It is because it reflects our relationship as sons to our Father in heaven (5:45). I think the kicker in Jesus’ statement is the hypothetical questions that follow in 5:46-47 that essentially pose the question to the listener/reader about how are we truly different than others that are able to love their loved ones or friends who love them too. If the world can love those who love them, then when we love those that love us… isn’t that what everybody is expected to do?! The calling to love then is one to love the worst of your enemies and I believe anyone in between. If you can love your enemy, you can love anybody… and Jesus ultimately showed this upon the cross in Luke 23:34 when he not only loved those who were crucifying Him (us)… and he prayed for them to His Father. In ending this passage, Jesus makes the impossible statement… “you therefore must be perfect, as your Heavenly Father is perfect” (Matt. 5:48). What an incredible statement, right? Let us be honest and realize that it is impossible to fulfill this call as the imperfect sinners that we are! Yet, why this call then? I think it is this that constantly reminds us of the divine grace that has cleared our sins … forgiven our mistakes and forgotten our transgressions… and why the process of sanctification is one of hope and growth and maturity. Volf quoting Lewis Smedes writes that “forgiveness is an outrage ‘against straight-line-dues-paying morality'” (120). The world’s standard operating procedure is one to seek revenge, or reciprocal violence. You take something or hurt me, I respond in kind. Repayment/revenge/vengeance is demanded. This leads to this endless cycle or spiral of violence … where violence feeds revenge, revenge feeds violence (121). What is pointed out then is that our actions even those of violence or sin are actions that cannot be undone… if they could be undone then, revenge would not be necessary (121). The only way then is through forgiveness for one’s actions. Where Lamech (Gen. 4:23-24) demanded revenge that increased, Jesus, demands His followers to forego revenge… to forgive as much as Lamech sought revenge (Matt. 18:21). Ultimately, Jesus reflected this. “With this prayer of Christ the universal religion of revenge is overcome and the universal law of retaliation is annulled. In the name of the Crucified, from now on only forgiveness holds sway. Christianity that has the right to appeal to him is a religion of reconciliation. To forgive those who wronged one is an act of highest sovereignty and great inner freedom. In forgiving and reconciling, the victims are superior to the perpetrators and free themselves from compulsion to evil deeds” (Moltmann, 122). Volf then points out that the very idea of forgiveness reveals that there is justice. If there’s no justice, then there’s no need for forgiveness. Truth is that “strict restorative justice can never be satisfied” (122). Since no deed is completely irremovable, the original offense still remains. It is also then because that original offense remains that we are always tempted to reciprocal revenge/violence. By truly forgiving, one keeps to reveal justice. But as Volf points out and quotes Bonhoeffer… it is only those who are able to perceive and confess their sin to Jesus and have given their lives to Him… that are capable of relentlessly pursuing this true justice without falling into the temptation to return to acts of violence (123). How do we then truly forgive? Volf points us to the prayers and Psalms. He points us to the crucified Messiah… whom we must all stand before God and place our enemy and ourselves before God… the vengeful self that we are… before a God who loves and does justice. It is only then as God pierces with light into the deepest cores of our hatred and desire for revenge that spreads that we realize we are excluding the enemy from his humanity but calling out their sinfulness, that we also excuse ourselves from our own sinfulness and connection to the community of sinners. It is there that we start to see our hypocrisy and our desire to exclude the other that leads us to sin, but before the God who is love… which is greater than sin… we all start to see ourselves included with our enemies before God in enmity to God’s justice and our own sin (124). We ultimately learn from God and the cross of Christ that in the cross is the example of that space that is created by God to allow the offender and sinner into His embrace (125-126). Christ’s self-giving love and this creation of space in himself to received estranged humanity is shown through the interaction of the Trinity (127-128) and its mutual connectivity and support that we start to emulate this example that is manifested in the divine Trinity of how God has loved us and others. This then leads to the ultimate final difficult act as Volf points out… which is that “certain kind of forgetting”… it is this impossible task to forget as the victim the wrong done by the perpetrator. As long as we carry this thought and harbor it…. what Volf points out is that “the memory of the wrong suffered is also a source of [one’s] own non-redemption. As long as it is remembered, the past is not just the past; it remains an aspect of the present” (133). You will continuously bring another’s sin into the present by carrying it through good and bad times. If the person doesn’t sin again then it is stored… but if the person fails, this memory of that original sin will come roaring back as additional affirmation to that person’s wrong and evilness. Augustine offers the big picture comfort that it all ultimately works out for God’s glory and plan for the future. This hopeful thinking is kinda shot down by Volf as he points out is that the memories of one’s suffering … these open questions crave a solution (134). What must happen then is ultimately we must go from mourning to non-remembering — in the arms of God (135). What Volf points out is that there needs to be a sort of forgetting… that God ultimately… “will forget the forgiven sin” (136). God is going to do a new thing… and he calls his people not to “remember the former things” … promises to blot out their transgressions out of God’s own memory (Isaiah 43:18-19;25; cf 65:17) (136). Why is this ultimately possible?! Ultimately it is at the cross of Christ that we see the reminder… that upon Himself, Christ has borne the sins of all humanity and placed them upon Himself (Rev. 22:1-4; Jn. 1:29). When I consider Volf’s words, and think about what MLK Jr. is saying, I truly believe that this is essential to forgiveness is our forgetting and reconciliation Truth is that this is impossible apart from God and the reality is we are more prone to cycles of memory (holding it and storing the transgression)…. and likely to respond as the world would… through violence and revenge. What Volf shows is that through the cross of Christ, we are given the means to reconcile and forgive to truly forget another’s sins. What MLK Jr. says is true, but absolutely impossible apart from the transcending and work of Christ on the cross for all of humanity’s sin and the hope that comes from His resurrection. Ultimately, we must consider the Gospel in order to find and to truly reconcile and to forget, which then leads to forgiveness. Martin Luther King, Jr., “Loving your enemies” in Strength to Love (Philadelphia: Fortess Press, 1981), 51. By now, I am sure you have heard about what happened in Sandy Hook Elementary School in Newtown, Connecticut with the murder of the 20 children and 6 adults. You may also have heard of the 22 children that were stabbed to death from YuanChuan Elementary School in the village of Chengpin in Henan, China that happened the day before. If anything, what happened so saddened even President Obama that he cried as he shared his condolences and support to those that died. After hearing the news on Friday morning, I was so heart broken that I felt led to go and make some major changes to my Christmas service sermon that I was sharing because I felt that it was so important not to forget what had transpired. What I share next is not meant to take away from the pain, heart break, loss, suffering or aching that the families and their loved ones may be feeling, but I feel it is important to explore an important topic together… that is this concept of sin. I think that this is so true… that what sin reveals to us… what this evil shows what the world needs and has is a God that is able to judge, to heal, to restore and to save. You see, sin is this corruption… this separation from God and what He originally planned for humanity. It is a break from this vertical relationship with Him. Originally, God intended for humanity to glorify Him, love Him, worship Him, love others, and to care for His world. From the beginning with Adam & Eve till now, humanity has willfully disobeyed God. We have done so by going against God’s original plan and desire for us … and have placed our own lives and priorities before what God has planned. By doing so, we have disconnected the vertical relationship with God and we have placed our own desires before God’s By doing so, our sin has separated us from God and because of the inability to be perfect, our sin always now disrupts this relationship with God. The truth is this… sin is nasty… it is what leads us to place these other plans and purposes (what we want) before God… and by doing so… we have started to worship creation and created things rather than the Creator! God is no longer first. As a result, our sins manifest themselves in two ways. One is outward and are actions that place one’s own desires above the care and consideration of others. This often leads to acts of violence, exploitation, murder and taking advantage of others; it is about putting oneself before others. This is what happened in China and Connecticut; it is this outward display of sin by selfish, sin-corrupted, evil people. But you must be wondering, I am no nowhere near as messed up or evil as such folks, but the truth is sin is not just an outward display of selfish action, but it is also an inward disposition of our heart. It is the corrupted selfish thoughts, feelings that we may have… the intentions, the desires, the bitterness, the jealousy, the greed, the rage and the pride that may lead us thinking about hurting others and putting ourselves first. Trust me, the only reason sometimes we don’t act on these thoughts is simply our fear of self-preservation; we are afraid of the consequences of our sin and going to jail and being victimized as well. The reality is we have the potential of great sin as well. Humanity is unable to escape from this slavery of sin, and this is what brings us to where we are today. As imperfection due to our sin, we cannot attach ourselves to a God that is so perfect because our sin now makes us imperfect. Perfection and imperfection cannot mix! You see, what happened at Sandy Hook Elementary and at YuanChuan Elementary is not alien to humanity, but common; it is the unchanging reality of our lives apart from God… the date, title and story of the News event may change, but these things will continue to happen because of sin; sin is the lowest common denominator of human reality! “She (Mary) will bear a son, and you shall his name Jesus, for he will save his people from their sins” (Matthew 1:21). What Matthew shares is that what Christmas needs to be about is remembering this story of restoration of the vertical relationship between God and humanity through the physical reality of Jesus’ coming. All our questions, our doubts, our pain, our heartbreak… we need to see that God about 2000 years ago answered our cries about sin and the brokenness of humanity. It can be found by Matthew’s hinting using the name of Jesus at his birth. Consider Jesus in verse 21, which means “God saves”. Consider Immanuel in verse 23, which means “with us God”, or “God with us”. What Matthew is pointing out is that in Jesus, God has answered our questions by sending Jesus to finally resolve this break in the vertical relationship between God and His people. God is here to save and He has not left us alone… but has entered into the historical timeline as a physical reality both as God and as man… the 2nd person of the Trinity, God’s Son, Jesus Christ has come so that He will know our pain as a reality. Despite being tempted, with opportunities to outwardly sin, and inwardly sin, Jesus resisted and lived a life without sin. Yet despite his sinless life, he was persecuted unjustly and put to death in the most humiliating way … through the cross! Yet despite this, after three days, He resurrected, overcoming sin and the consequence that is death and separation from God, and now sits at the right hand of God, the Father advocating on our behalf. By such actions through Jesus, God has taken all of humanity’s sin: past, present and future sin, and has washed those that call on the name of Jesus Christ as their Lord & Savior… a restored vertical relationship that gives humanity hope despite this world’s hopelessness. In Christ, I don’t have an answer, but every time we see acts of incredible evil and sin, we realize the Author has written Himself into His story (History) and is here to save us. It does not take away the pain and the inexplicable acts of violence and evil and suffering of this world, but these things should drive us to see that this is not the way God intended things to be; God had such a better plan that would lead to no heart break, and so now, God through the Gospel of Jesus Christ reminds us that He is bringing about a restoration and hope. He comes alongside the brokenhearted and He lovingly embraces us and says, He understands… He knows because about two thousand years ago, He, a Father as well… lost His only Son to sin too. He lost His beloved child and knows exactly how it feels. “The Lord is near to the brokenhearted and saves the crushed in spirit” (Psalm 34:18). Over the past 15 years of driving back and forth from the Bay Area to Santa Barbara, I have often noticed that the drive along the 101 freeway is one that is mixed with a plethora of experiences. At some points on the freeway, one is able to enjoy the fresh salty ocean breeze with the sound of waves crashing and seagulls cawing in the background, at another the stale dryness of the drought induced valley full of dried yellow grass that rustles in the wind, in some places there are elevation changes that bring different temperatures and color and lushness to the terrain, and in others there is the dampness/coolness of the fog as one enters into the heavily wooded areas intermixed with the signs of human habitation that distinctly changes the landscape into areas of concrete civilization. This diversity of experiences often reminds me of the journey of the Christian as well! Like the 101 freeway’s diversity, the Christian life is meant to bring about a “fullness” of one’s life in the Gospel of Jesus Christ. To the uninitiated, this is often seen as to mean that are lives are meant to be happy, carefree, without worry because we have Jesus and in many ways we are insulated from pain; it is expected that we are to have spiritual experiences that are bright, warm, filled with peace and blessing. Yet like the changes along the journey of a drive along the 101, the Christian is quickly reminded that this journey is not simply just those things; our journey is also hard, dark, filled with suffering and pain. The reality is one’s journey of faith also has shadows. We cannot simply gloss over the pain and hardship and skip over to the fun stuff. These tough spiritual experiences are painful and difficult, and often after a few, we simply want them to stop and to no longer have any! In my journey with God, there has been amazing transformation and seasons of abundance, and yet it is in this journey into the light with God that one starts to be exposed to darkness as well. From moments of great joy and happiness… such as my times in ministry and the new relationships built with amazing people to my time at Western Seminary, it has also been filled with times of heartbreak, disappointment, loss, and difficulty. It was as God started to reveal what it means to follow Christ that I started to see that the journey involved more changes to the terrain and circumstances than what I had expected! This was like the long drives along the 101 at times. One cannot wait to get through certain areas because they were so boring with no change in terrain (or lack thereof)… and it would leave one so exhausted, and frustrated hoping for it to be over. The reality is that these are the moments where we must submit our lives to Christ and to realize that there will be changes, and we must be open to these changes. Even the best spiritual growth/dynamism/movement is fraught with hardship and difficult. Our natural inclinations after encountering these hard parts of our journey, is to ask to stop, to be flustered, and to give up… “please God, no more!” But this is not the way of the Christian. We are called to walk the narrow and unfamiliar path; we are called into a downward mobility, to give up, to sacrifice, to serve. We are challenged daily to let go of our way and to walk the unique journey of faith. It is ultimately in losing our “life”, that we in fact truly gain a life in abundance and joy. Like this long drive along the 101 with changing circumstances, pretty soon, we will reach our destination and be filled with joy as we realize that without going through the good and the bad, we would never have been able to finally arrive at home! “Enter by the narrow gate. For the gate is wide and the way is easy that leads to destruction, and those who enter by it are many. For the gate is narrow and the way is hard that leads to life, and those who find it are few” (Matthew 7:13-14). You may be wondering why I am posting again so soon, but it is because I have an exciting personal story to share with you! But before I share this story, I want to ask you a simple question… for some of you, this may be many years ago, but for others, it may be recent… how did you come to hear the Gospel of Jesus Christ? How did God first start to reach out to you in your former life… in the midst of the darkness… how did you come to see the light? How did the unsearchable riches of Christ become revealed to you? So that’s my question because my story starts with that question how that led me on an adventure that came to a beautiful conclusion. You see, a few years ago, I felt led to search up all those brothers and sisters in my life that had been a part of introducing me to Christ. Those that helped me to come to know Christ through sharing/witnessing/evangelizing/preaching… those that God used to witness to me about His incredible story. My story began than with quite a few different individuals including my real younger brother, a high school friend, a few brothers from UCSB AACF and a random co-worker. For this story, I want to focus on that random co-worker because I was able to thank and even meet up with all those others in my past that had a part to play to my knowing Jesus. Yet my co-worker, I could not find after we parted ways about 10 years ago. I just remembered that this co-worker, a Westmont grad… started working with me… and started to ask me questions about my faith then (Buddhism), and hung out. We played baseball on the beach during lunch, ate together, chatted, and he simply asked me about my faith and shared a bit about his faith in Jesus. Such a small thing, but it was his courage to talk to me, to love me and befriend me… despite my ignorance … that started the ball rolling to my own searching for an answer. Nobody knows this, but his humble, simple witness was what started that insatiable curiosity for an answer that I could not find anywhere… was finally found at the feet of the cross of my murdered Savior, who died and rose again for my sake. I won’t share his name via text, but you’ll see it in the picture that follows soon. A few reasons… first of all, I think it’s best to not just list it, but also because ultimately, it is God who is moving and working these incredible things; not man, but God alone that deserves the true credit. 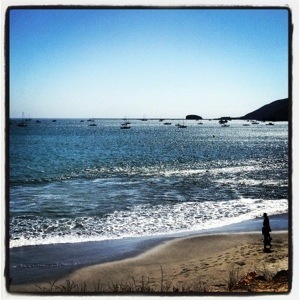 But as I am writing, my co-worker after a few months moved away from Santa Barbara! Before he left, I am sure he left me his contact information, and I believe it was for medical school that he left. You see, his dream was to be a doctor and to serve others and help others. I remembered that, but like everything then, I lost the information or failed to keep in touch. As time passed… I came to know Christ, but our friendship/story was lost into the obscurity of history. Yet it was in the asking of the question of how did I… that I tried seeking out this co-worker. Google and Facebook were utilized, and though he did not have a facebook, Google showed that he was doing his residency in Fresno/Bakersfield! There was no contact information so I set this aside and continued to pursue other things, and once again it was lost into the fog of history. What I saw: my co-worker’s name! The physician’s last name matched my random co-worker’s! I thought … this couldn’t be the same person could it be? But it was such a unique last name, I figured I’d ask the nurse. She mentioned that he was a doctor that just moved here, and so when I went to the website to look it up, it was him!!!! I was so ecstatic, and left him a message with my number to call me so we can catch up. Though he has yet to respond (only been a few days), I heard that he rejoiced to hear about me, and I hope that we’ll get time to sit down and talk and to fellowship once again. 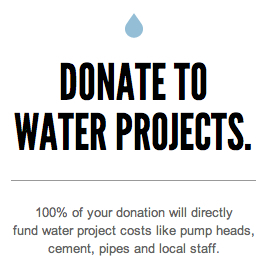 Isn’t that wonderful? Isn’t that praise worthy? Consider the words of Paul in Romans 10, how are people to call on Jesus for whom they have not believed? How are they to believe in him of whom they have never heard? How are they to hear without someone preaching? How are they to preach unless they’ve been sent? How beautiful are the feet of those who preach the good news! And I, when I came to you, brothers, did not come proclaiming to you the testimony of God with lofty speech or wisdom. For I decided to know nothing among you except Jesus Christ and him crucified. And I was with you in weakness and in fear and much trembling, and my speech and my message were not in plausible words of wisdom, but in demonstration of the Spirit and of power, that your faith might not rest in the wisdom of men but in the power of God. So as I leave you today, I want to give you an encouragement… How did you come to know and hear the good news of Jesus Christ? Perhaps you are the random co-worker in another’s life! My prayer is that you may be the random co-worker in many other people’s lives as well! For truly, how beautiful are the feet of those who preach the good news!